In geology, a glacial erratic is a boulder carried by glacial ice and deposited some distance from its place of origin. 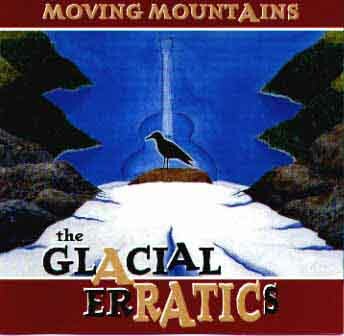 In folk music, "the Glacial Erratics" is a group of four independent women who have followed the trails of the glaciers north to deposit themselves in Alaska and the Yukon. Every fall they venture south from their Northern homes, to the delight of audiences young and old. They play schools, coffee houses and house concerts across the US and Canada and are met with floor-stomping, knee-slapping enthusiasm everywhere they go. just who ARE the Glacial Erratics? how to get them to YOUR school! check him out, you'll love him as much as we do!